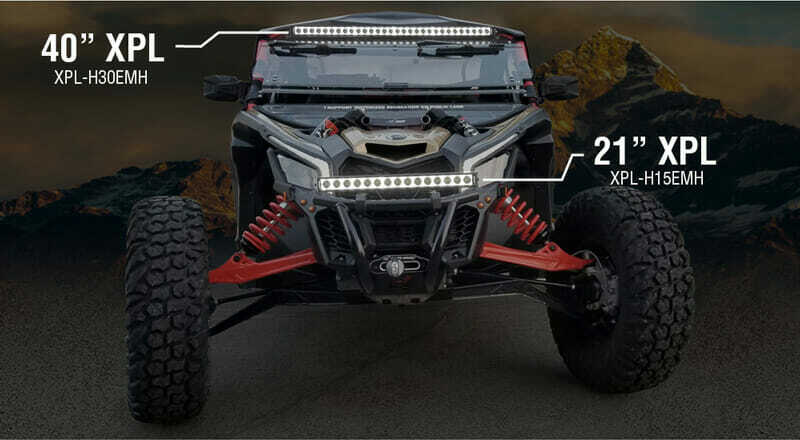 All new straight XPL series LED light bars by Vision X produce a high performance spot beam pattern for extreme distance. The Low profile 2” tall housing is packed with high intensity 5 watt LEDs. 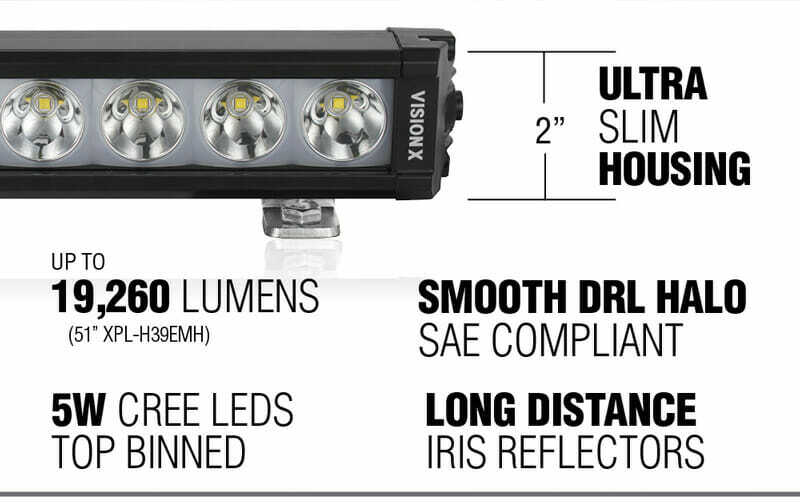 Combine that with deep Iris Reflectors and get all the distance (up to 2000 feet). 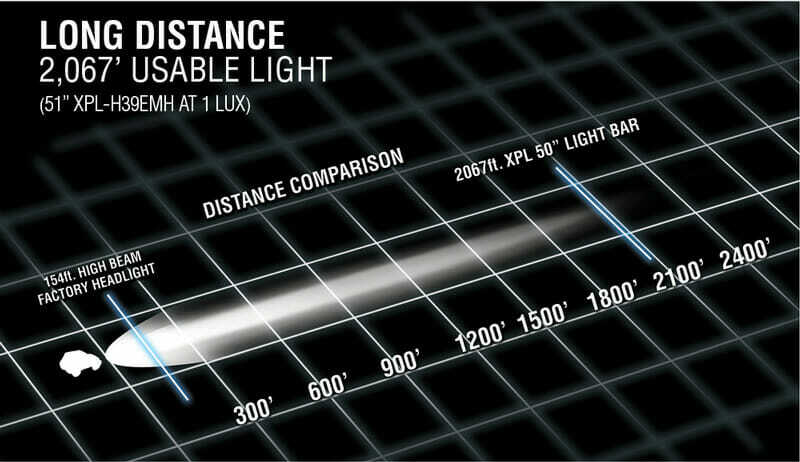 Depending on the length selected (6"-51"), lumens range between 1.605 and 19,260. 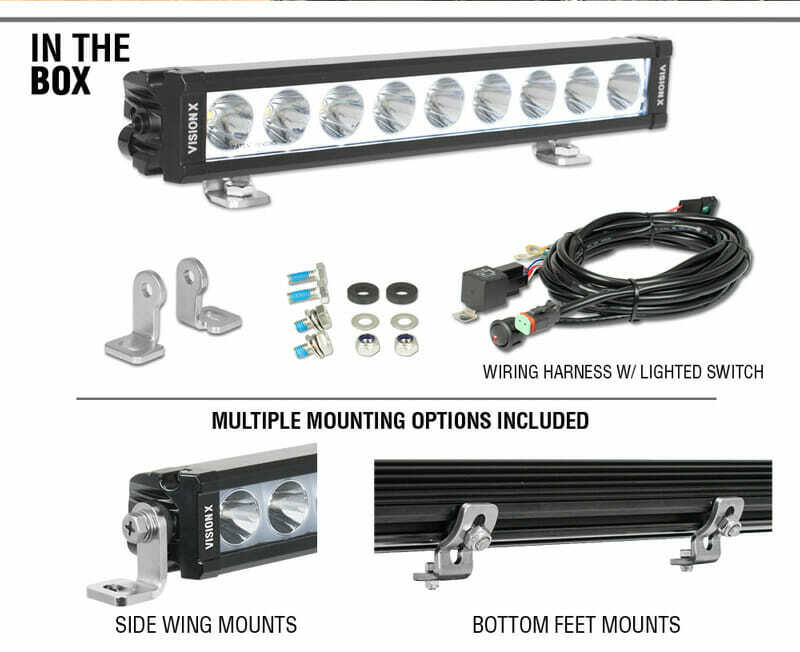 Mounting is much more flexible since Vision X throws in end-cap mounting hardware in addition to traditional foot-mounts so lights can be mounted on from the bottom, top or sides. Wiring is fairly simple as well. Each bar comes with a pre-wired harness with built in relays and an illuminated rocker switch for a super clean look. 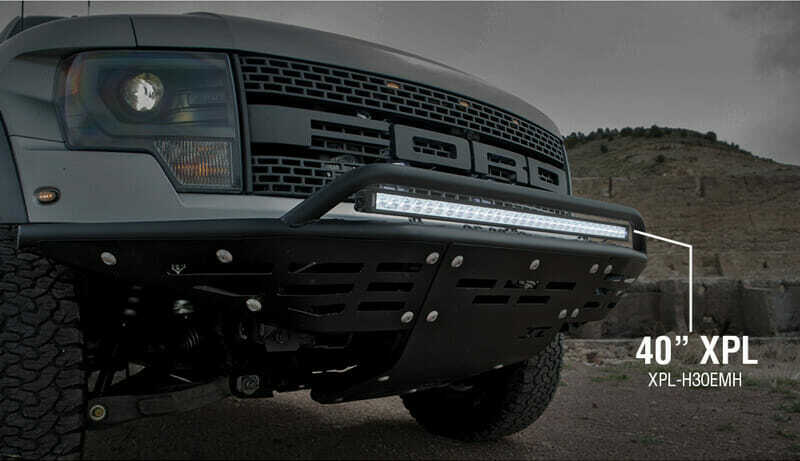 Click the button below to add the XPL STRAIGHT LED LIGHT BARS WITH HALO 6"-51". XPL-HxxEMH to your wish list.